A handful of brand new Lana Del Rey songs from her forthcoming album Ultraviolence have made their way to YouTube. 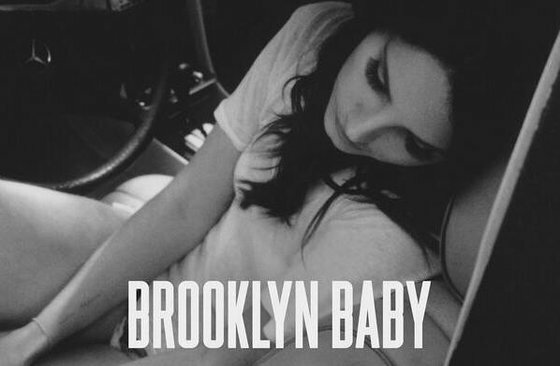 Following the release of the lead single "West Coast" and the album tracklist, here's three more tracks: they're titled "Shades of Cool", "Ultraviolence" and "Brooklyn Baby". The songs represent a new, slightly toned down sound for the 'internet era torch singer' - the album seems to be stripped from the super-orchestrated soundscape of the Born To Die era. Yet, the fragile melancholy heard on the songs is distinctively Lana-esque, so the new direction feels like a natural evolution from her past music. The more minimal musical backdrop also gives her more space to experiment with subtlety both as a songwriter and a performer. A personal favourite of mine is "Shades of Cool" but they're all very pretty tunes! Although, the piano of "Ultraviolence" sounds a bit too aggressive to blend in with the otherwise soft mix. It's almost demo-like in that sense so I hope it's not the final version. As you can see, it's a picture of her knee.